The Kemtrak TC007 is an easy to operate industrial process fiber optic turbidimeter designed to accurately measure the concentration of light scattering components. Measurements are real time and in-line. 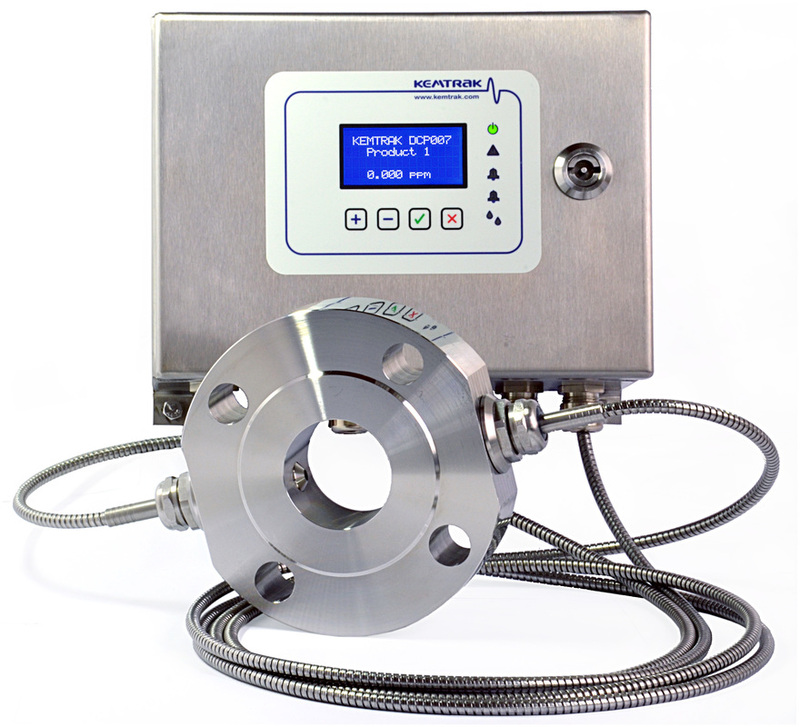 The Kemtrak NBP007 is a high resolution backscatter photometer that revolutionizes the measurement of high concentration suspended solids. The Kemtrak DCP007 is an easy to operate industrial fiber optic photometer designed to accurately measure the concentration and color of process samples. Measurements are real time and in-line. 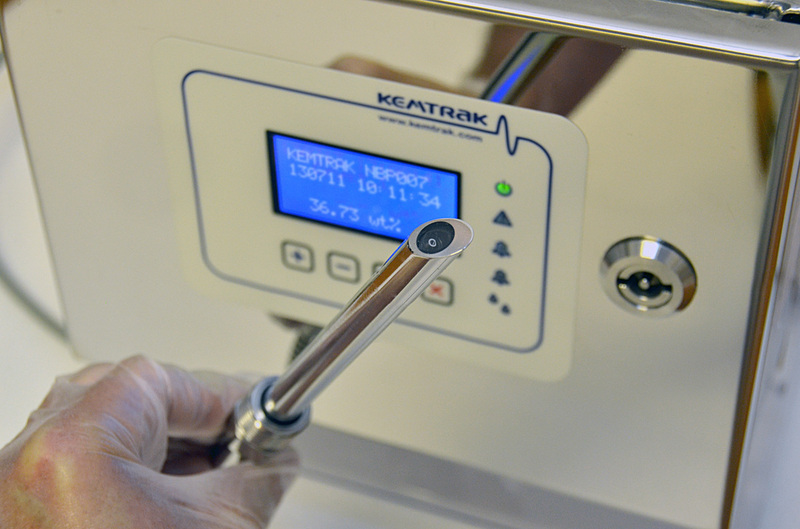 The Kemtrak DCP007 UV process analyzer uses ultra-low power cold light at the exact wavelength required for the analysis, exposing the sample to thousands of times less energy than a traditional UV photometer. This is achieved from a state of the art digital photometer design using a modulated high performance UV LED light source with precision fiber optics. Traditional UV photometers use mercury vapor lamps that continuously expose the process stream to high intensity broad spectrum UV radiation and heat generated by the lamp. This results in destruction of the valuable product and produces unknown and potentially hazardous breakdown products. A proprietary dual wavelength four channel measurement technique and advanced digital electronics design allows deep absorbance measurement to 5 AU. A range of shorter optical path-lengths allow for even deeper absorbance measurements. Convenient zero dead-volume hygienic measurement cells contain no electronics or moving parts and are well suited for hazardous environments. NIST-traceable validation filters are available to verify analyzer performance without process interruption. It is simple to change the light souce on a Kemtrak DCP007 photometer and the unit can easily be reconfigured to analyze at different wavelengths. 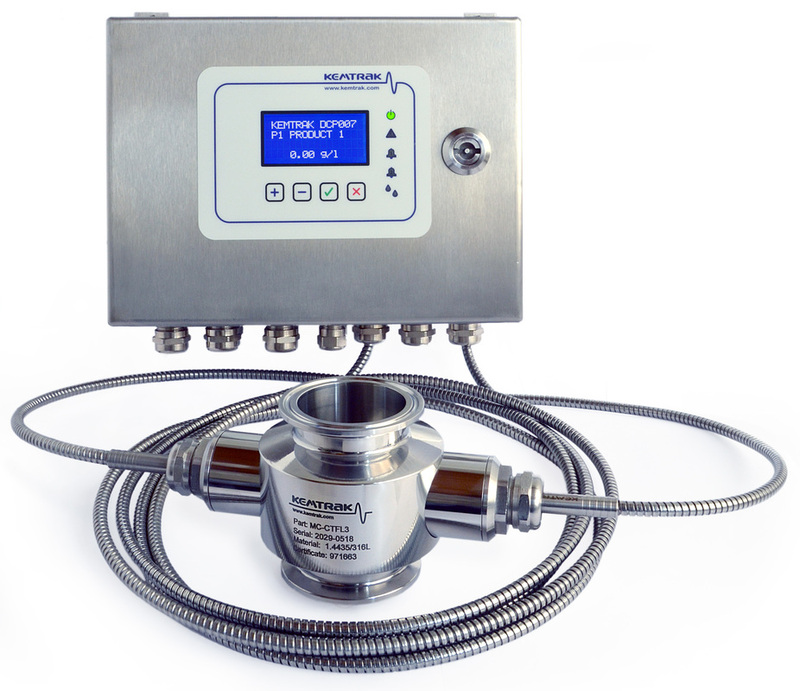 Standard features include multiple product switching, remote zeroing and signal damping. A graphical internet based interface allows remote operation, calibration, validation and data trending using a standard web browser eliminating the need to install software. All Kemtrak products are made from the highest quality materials and are designed to the most demanding specifications to ensure long life and the highest reliability.